GEORGETOWN, CO -- Lightning struck near the top of a more than 14,000-foot mountain popular with hikers, sending three people to hospitals and killing a dog, Colorado authorities said. The victims were among about a dozen people who were just below the summit of Mount Bierstadt when lightning struck around 11:30 a.m. Sunday. A total of eight were injured, most of them knocked off their feet likely after being shocked indirectly by the lightning through the ground, said Dawn Wilson, a spokeswoman for Alpine Rescue, one of several groups that responded. One hiker taken to the hospital was in serious condition Sunday while the two others were described as having non life-threatening injuries. Their conditions on Monday weren't clear. Rescuers and an Army National Guard helicopter responded to the mountain about 40 miles west of Denver. Eight adults were transported from the trailhead: five who refused further treatment and three who were taken to Denver-area hospitals, the Clear Creek Sheriff's Office said. Madeleine Ripley told KUSA-TV (http://on9news.tv/1SVBafd ) that she was shocked by a strike while touching a rock. "I felt lightning and I just started running back down and I kept going," she said. Hiker Pete Hunter told the station that the storm seemed to build right on the mountain rather than move in from the distance, which would have given hikers more warning. Colorado's mountain summits are usually rocky and exposed, making them prone to lightning strikes from thunderstorms that frequently develop on summer afternoons. Experts advise hikers to summit and to be on the way down by noon to avoid sudden storms. 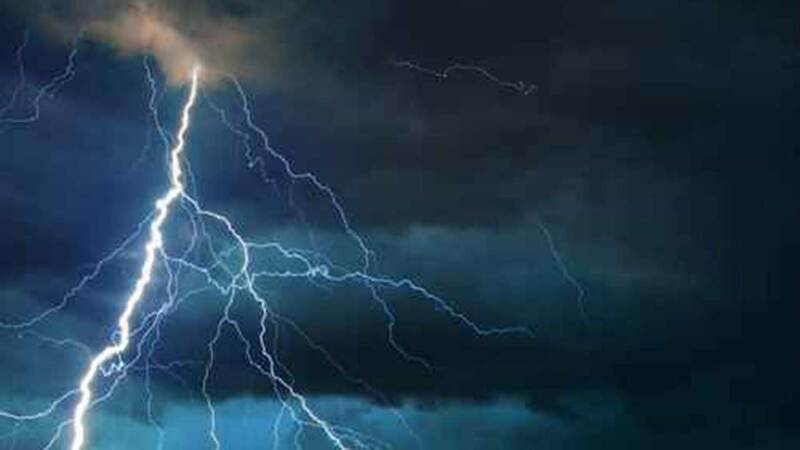 On Saturday, a lightning strike killed a woman and injured several others who sought shelter under a tree in the Mogollon Rim in northern Arizona. It wasn't clear if that group was on exposed terrain. But the National Weather Service recommends that those who are exposed when a storm hits and are away from a vehicle to get away from summits, isolated trees and rocks and to crouch on their heels. Mount Bierstadt, named for the western landscape painter Albert Bierstadt, is one of the most popular Colorado peaks to climb because the top can be reached after a 3-mile hike from a mountain pass accessible by car. Colorado is one of the top states for lightning deaths in the past decade along with Florida, Texas, Georgia, North Carolina and New Jersey.